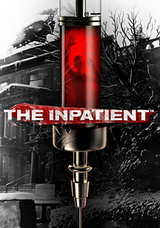 The Inpatient is another story adjacent to Until Dawn. I liked that game, but it doesn’t really have the depth to uphold two spinoffs. The first spinoff, Rush of Blood, was a VR rails shooter capitalizing on the trademark. It wasn’t very good, just a series of jump scares. The Inpatient is more of a Horror Walking Simulator, also full of cheap jump scares. The game starts with you waking up in the Blackwell mental institution with amnesia (how convenient). Then by a series of flashbacks the story will unfold. It is not a very interesting one. If you’ve played Until Dawn you figure out what’s happening in no time. The characters aren’t that great, the script is not interesting and the game is not super scary. I jumped a few times, as you do when something appears just in front of you, but it never got that creepy/spooky feeling. The controls are flaky and you can only move around very slowly by walking, which is very awkward while being hunted by wendigos. The butterfly system from Until Dawn is also here, where your choices decide who lives and dies, but you don’t get the time to build a relationship with any of the characters as the game is only 2 hours long. Someone dies and it feels like a shrug of my shoulders, who cares. I played it all in one sitting. It wasn’t horrible but neither particularly good. Another attempt at making more money off Until Dawn and making money on gamers with VR headsets.